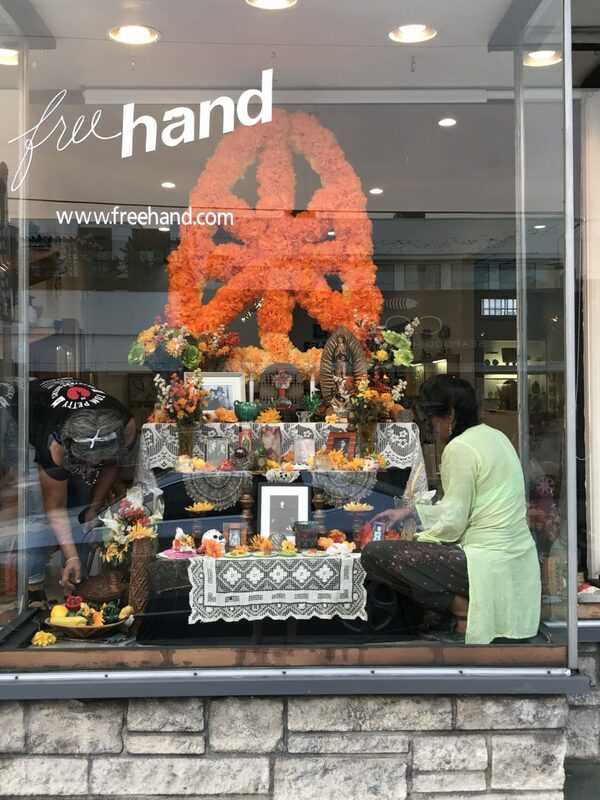 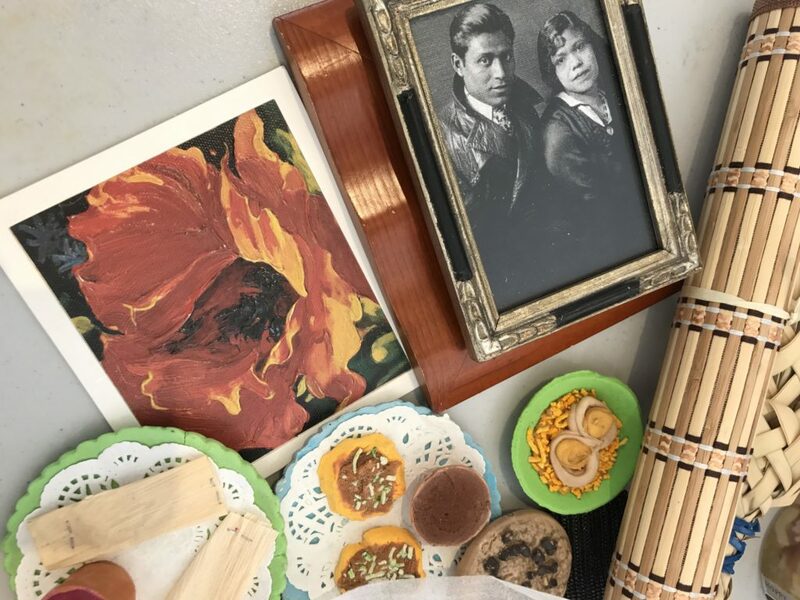 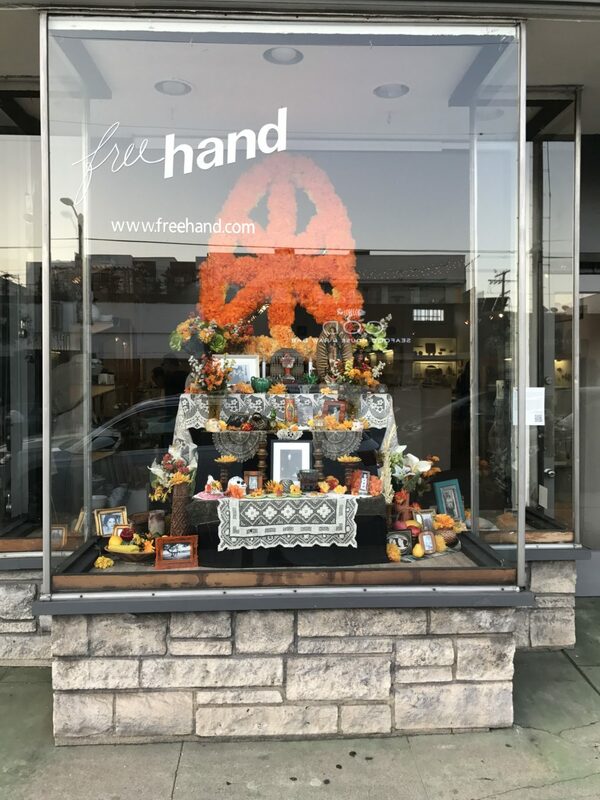 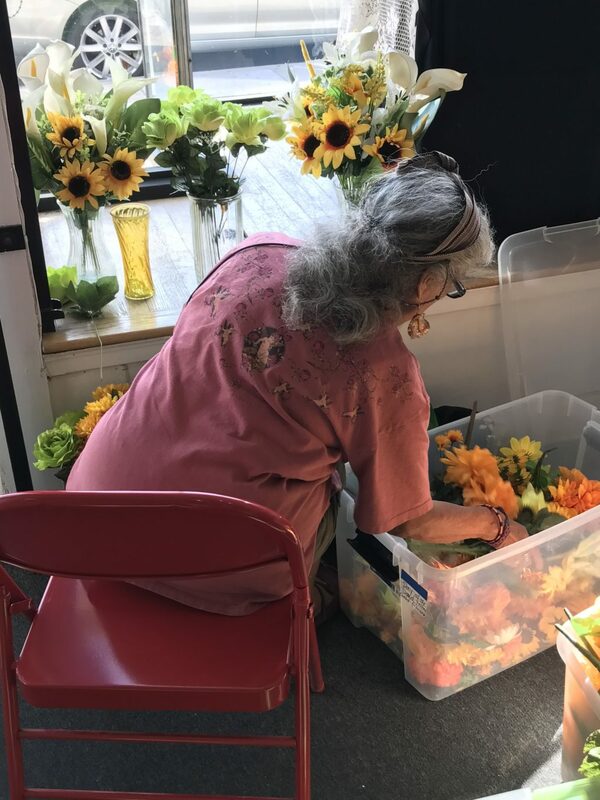 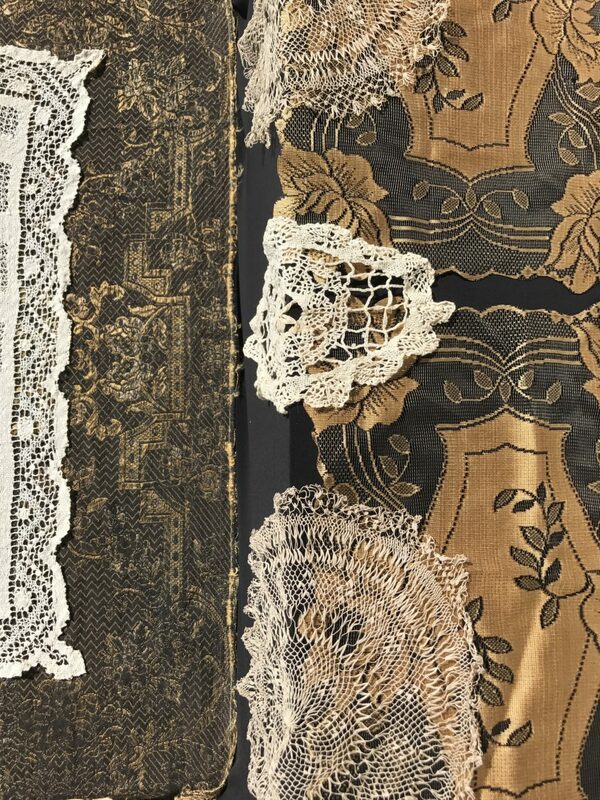 In conjunction with Freehand Gallery, Craft in America has commissioned an altar from master altar maker Ofelia Esparza and her daughter Rosanna to be displayed in the window next to the Center at Freehand Gallery. 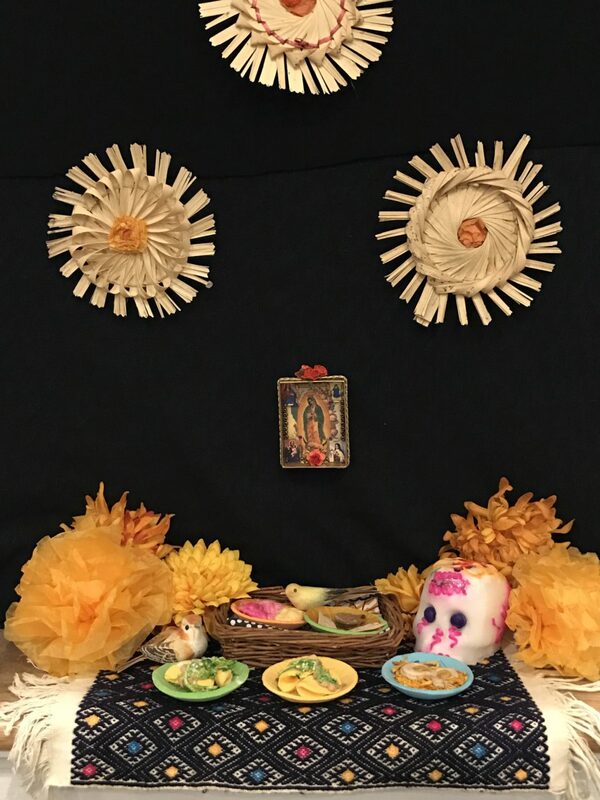 Ofelia Esparza, educator and life-long artist, is an altarista, a master altar maker who teaches the meaning and history of Día de los Muertos (Day of the Dead) and the altars that commemorate loved ones who have passed away. 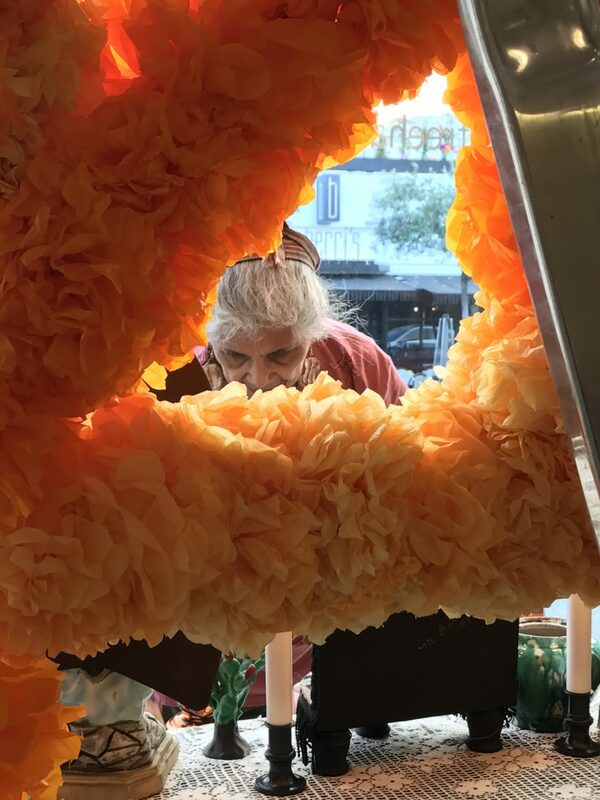 She began this work in 1979 at Self Help Graphics & Art, Los Angeles, CA, alongside founder Sister Karen Boccalero. 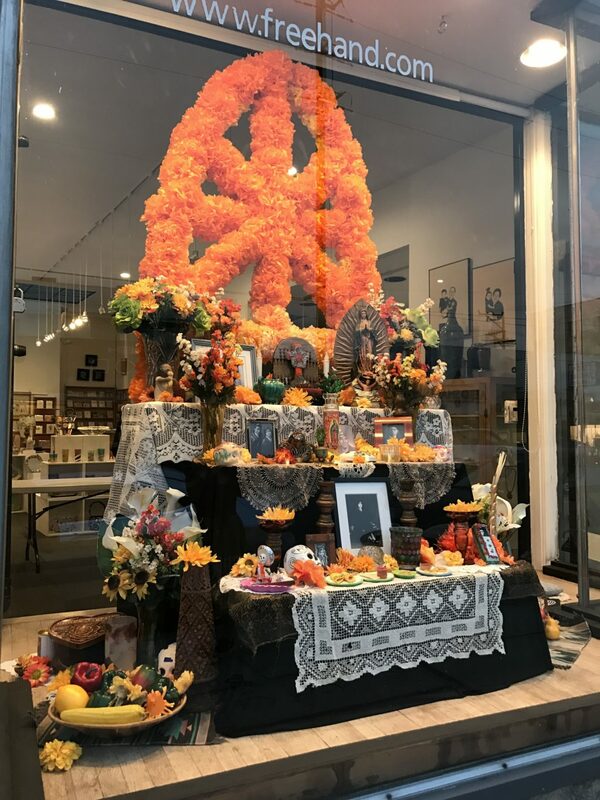 Ofelia’s strong commitment to keep Mexican tradition of Día de los Muertos alive in the US is visible in the heartfelt beauty of the community altars that she designs annually for the celebrations at Grand Park in Los Angeles. 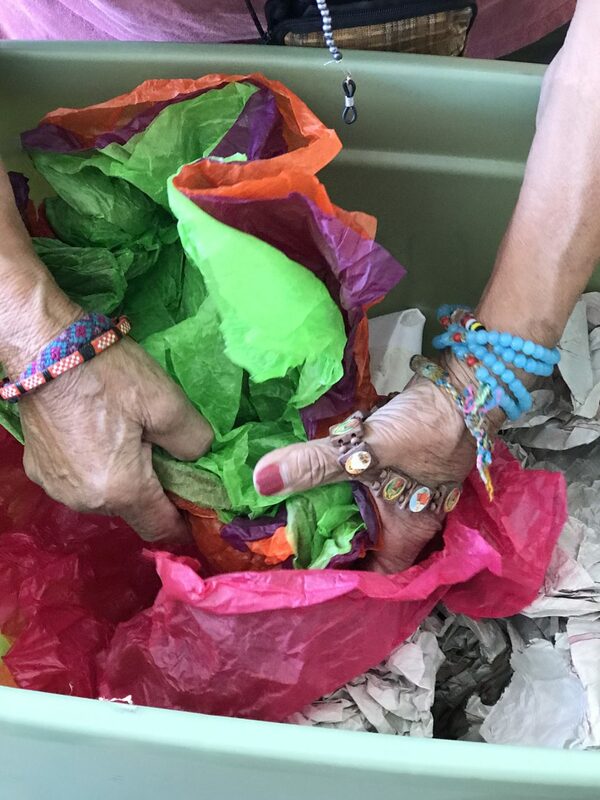 Ofelia will also be present at a special Screening of Craft in America’s BORDERS and NEIGHBORS at the Los Angeles Public Library this Sunday, October 22, 2017, 2:00 PM – 3:30 PM PDT. 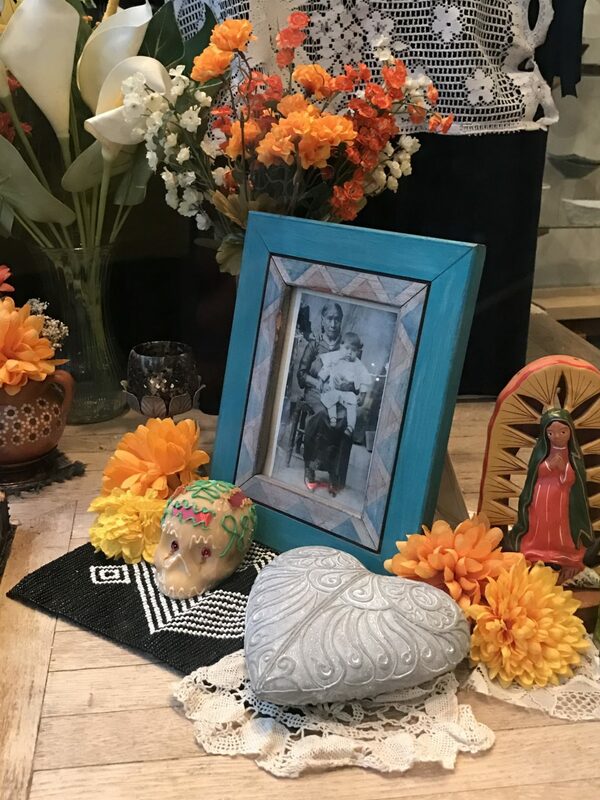 Join us for a Q&A after the screenings. 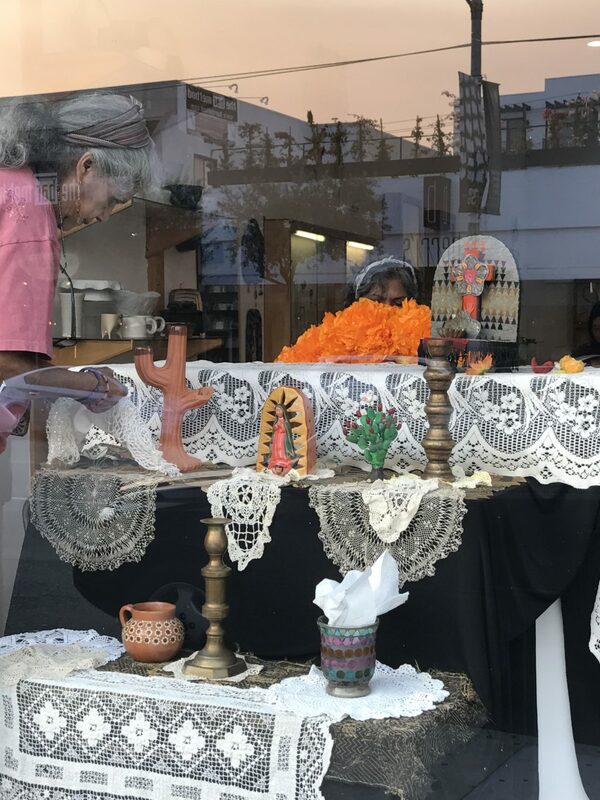 Below are some images of Ofelia constructing the altar and you can view a video of the altarista constructing altars here.